It is no secret to anyone who knows me that I had a life changing experience in my study abroad trip to London last May. I cannot stress enough how much Studying Abroad impacted me as a person and expanded my worldview. I fell deeply in love with London and left a small piece of my heart in that beautiful city. We had a lot of freedom while we were there and we were able to take a short trip to Ireland during our time in Europe. 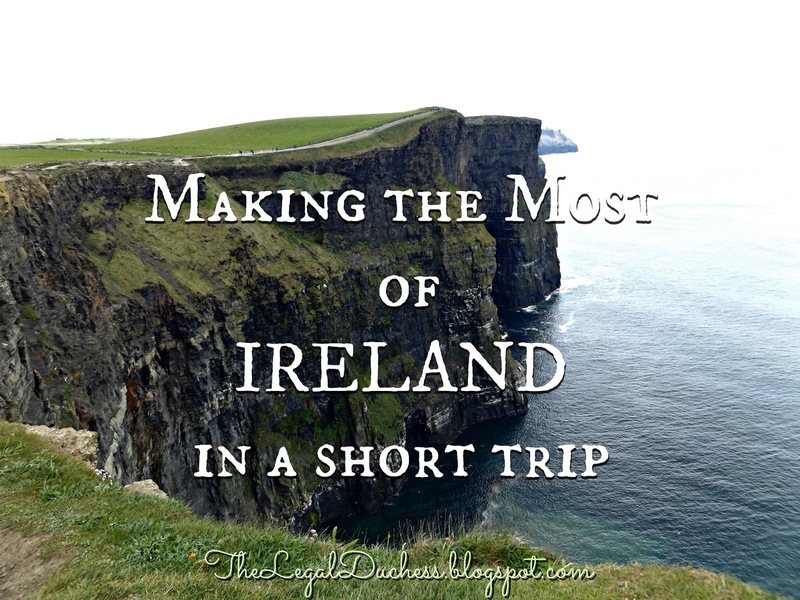 As a person of Irish descent, stepping foot on the Emerald Isle felt like coming home. Never have I seen a place so naturally beautiful, ruggedly wild and so beyond green. The people were as nice as everyone says they are, the food is incredible and I will never drink Guinness again after having a "cup of frothy cream" in its home city of Dublin. I can go on and on about Ireland and how amazing it was. In truth, I was only there for 3.5 days. For a place to leave such an impact on me in such a short time shows just how incredible Ireland is. Below I have outlined my tips on making the most of Ireland even if you only have a short time there. 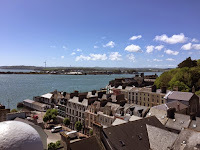 We stayed in Hostels all 3 nights in Ireland. I was skeptical but I knew it was the only way I could afford to go to Ireland and I figured it was all part of the experience. Hostels were a pleasant surprise for me. Our first night we were in an 8 bed co-ed room with 2 German girls, a French boy and us 4 Americans. We literally stayed up until 3am talking, laughing and comparing cultures. It was such a cool and unforgettable experience. Our second night we ended up in a room by ourselves but ventured out to the common areas and met some more great people. The hostels were relatively clean, comfortable, safe and provided a decent breakfast. Overall, it was a cheap and memorable way to spend my nights in Ireland and I do not regret it one bit. Hostels are not nearly as bad as people make them out to be. Irish food = heaven. Bangers & Mash was my personal favorite. It is wholesome, filling and soooo good. Eat your heart out. As for drinking, I am not much of an alcohol drinker but I must say, Guinness tastes incredible in Dublin and I will never drink it anywhere else. It could not compare. It was described to me but an Irishman as a "cup of frothy cream" and it was pretty darn accurate. Try it even if you're not a beer drinker; you may be pleasantly surprised or you can just brag that you drank Guinness in Dublin. I did find a great Irish ale called Magners (Bulmers in Ireland) that is available in the US and every time I drink it I get all nostalgic. Ireland is truly the most beautiful place I have ever seen. The natural beauty of the fields of green is just something I cannot describe. I urge anyone who visits to soak it in because you will never see something like it anywhere else. As for the people, Irish people are friendly and kind. I was told before going that Irish are the friendliest people and it was proven true. The atmosphere is one of a warm, inviting homeland filled with people who wish to be your friend. Take advantage of that and talk to the locals. They always have a funny story to tell in the jaunty, lilting accent of theirs. Irish people could not have been more different than the people of London and it was a refreshing change. 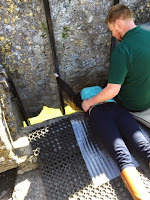 No matter if you are in Ireland for a few hours or a few weeks, I hope you get to experience some of the wonder I did. The Emerald Isle is a place like no other and I am counting the days anxiously until I can go back. Enjoy your time there and make the most of it and as many pictures and memories as you can because it is over before you know it and you will be back home yearning for some good Irish food and to have your breath taken away by the Cliffs of Moher one more time. 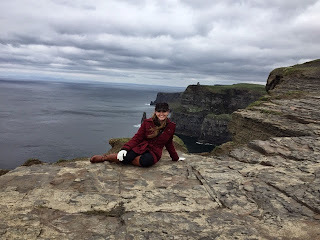 I left a small piece of my heart in Ireland and someday I have to go back and get it. Ireland seems to have a way of making you feel so welcome that you just want to go back again and again. Happy Irish vacations to all! Make a load of "craic" (the Celtic word for fun and crazy great times!) and memories!